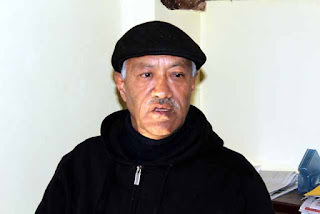 Kalimpong, Mukesh Sharma: Jan Andolan Party President Dr Harka Bahadur Chhetri have today told that he will lodge a FIR against Morcha Chief Bimal Gurung, New member of Morcha R Moktan and Anuradha Pradhan who address the meeting of GJM in Thursday citing the reason of open threat to new formed JAP. Dr Chhetri addressing a press meet said Gurung asserts JAP to exist for one and half month which Dr chhetri said is a open threat. What does it mean he can hire a person to kill us. He used the word 'kuincha'(कुहिन्छ) that mean it will not last long .We have felt a threat, R Moktan told 'Janta le Chodaina' ( जनताले छोडदैन) that too is a threat and Anuradha Pradhan told 'Nangojar Parchu' (नाङ्गो झार पार्छु ) all this term used in mela ground by morcha is threat and we have decided to file a FIR against all three of them informed Dr Chhetri . He even told that JAP has send memorandum to Home Minister Rajnath Singh. Home secretary R Singh to act against an anti national statement of Mr Bimal Gurung’s claim that Kalimpong is a part of Bhutan and that it is not yet fully integrated into Indian territory .